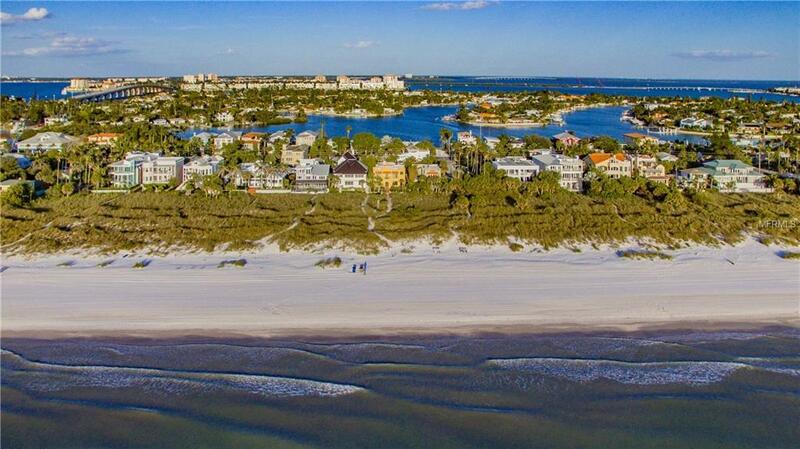 Welcome to fabulous & historic Pass-a-Grille, one of Floridaâs most unique & coveted beach communities with its quaint, laid back vibe that truly embodies paradise yet is reminiscent of Old Florida! 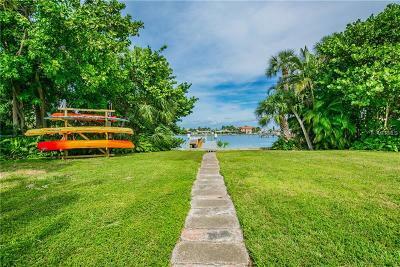 This wonderful Gulf-front, estate-sized home was built in 1925 & offers so many possibilities with its sprawling floor plan consisting of 5623SF total that includes 7BR/6BA & 2HBA (main house has 5BR, 4BA, 2HBA with one BR used as a Den/Study). The attached, very large legal Apt. has 2BR (one currently used as a home office), a separate entry, full Kitchen, inside Laundry & Fireplace providing great income opportunity or offers the homeowner lots of extra space for guests, a home theater, Gym, Game Room, etc. This home has a mix of original features plus tons of updates, lots of storage space, higher ceilings, laundry room on each level, original red brick tile flooring in Kitchen & Foyer with wood flooring throughout remainder of the home. There is a spacious 2CGR with workbench, new metal roof, gorgeous landscaping with paver walkways, an inviting front porch & an impressive paver patio with retractable awning in the back offering a perfect respite complete with complimentary Gulf breezes & magnificent sunsets. Truly the ultimate beach house with views of the stunning Gulf of Mexico plus a private beach access that meanders through the sand-dunes & sea oats placing you directly on the sandy beach! Only a short stroll to nearby restaurants & shops and easy access to I-275 & the rest of the world!